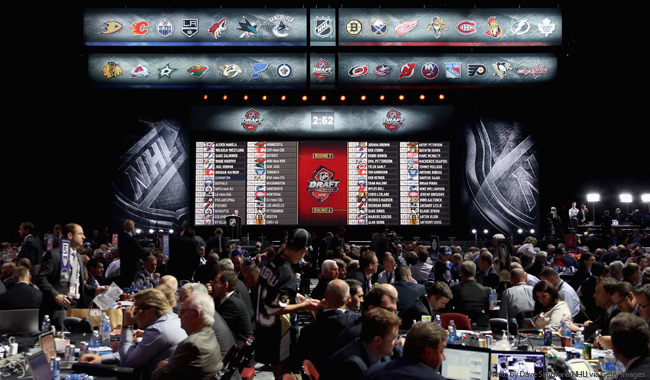 Before the Sens take to the podium at the 2015 NHL Draft on June 26th in Sunrise, we look back at some of the historical data surrounding their upcoming selections. The Sens have actually never drafted 18th overall in the franchise's history. They did hold the selection in 2008 but paired it with a 3rd round pick to move up three spots to 15th overall and draft captain Erik Karlsson. Only once have the Sens drafted 42nd overall and that was in 2008 when they selected defenseman Patrick Wiercioch. You'll notice that 2008 will pop up a lot during this retrospective as the Sens finished in the same spot in the final regular season standings. Long-time Senator/current Nashville Predator Mike Fisher was also selected just two spots back of this position in 1998. Back in 1999, the Sens selected goaltender Simon Lajeunesse of the Moncton Wildcats 48th overall. Lajeunesse appeared in only one game for the Senators stopping all 9 shots he faced in relief. 10 years later, the Sens selected Robin Lehner around the same draft position. Swedish forward Andre Petersson, selected 109th overall in 2008, also only appeared in one game for the Senators but play nearly 3 full season with the Binghamton Senators before spending last season in the KHL. 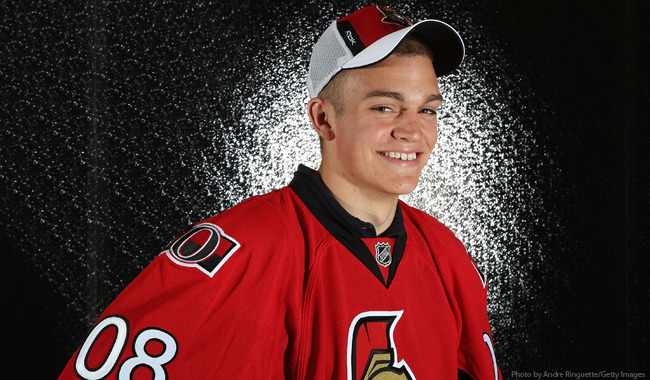 Also in 2008, current Sens defenseman Mark Borowiecki was selected 139th overall. In 63 games last season, Borowiecki lead the Senators in penalty minutes with 107 and has appeared to have carved out a full-time spot on the team's blueline due to his versatility and strong penalty-killing. Former Sens captain and franchise leader in just about everything, Daniel Alfredsson, was also selected near this spot way back in 1994. With their final selection in the 2008 NHL Draft, the Sens picked Swedish forward Emil Sandin. Sandin never appeared in a game with the Senators and in fact never played professional hockey outside of Europe. Late-round picks rarely pan out but the Sens did have some success when they drafted Brooks Laich around this position in 2001. Laich appeared in just one game for the Sens in 2003-04 before being packaged with a 2nd round pick in exchange for “hockey’s best kept secret” Peter Bondra.